Harriet M. Welsch is a spy. In her notebook, she writes down everything she knows about everyone, even her classmates and her best friends. Then Harriet loses track of her notebook, and it ends up in the wrong hands. Before she can stop them, her friends have read the always truthful, sometimes awful things she’s written about each of them. Will Harriet find a way to put her life and her friendships back together? Louise Fitzhugh (1928–1974) was born in Memphis, Tennessee. She attended Bard College, studied art in Italy and France, and continued her studies in New York at the Art Students League and at Cooper Union. 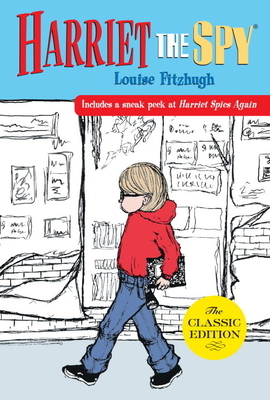 Her books Harriet the Spy, The Long Secret, and Sport have been acclaimed as milestones of children’s literature. These classics delight readers year after year.